MycoGold® Soybean Blend is the only biological soybean Inoculant, or dry seed treatment on the market that provides the combination blend of soybean specific Bradyrhizobia, Bio-Stimulnats, Mycorrhizal Fungi, Beauveria Bassiana Fungi, Azospirillum, Azotobacter, Micro-Nutrients, and a group of highly effective complex vitamins. This powerful Biological inoculant Arsenal works symbiotically with the plant to produce a much more vibrant plant that maximizes yields from germination all the way to harvest. This combination biological blend arsenal provides the best and most complete biological soybean inoculant, or seed treatment created. First, the Bradyrhizobia goes to work converting atmospheric Nitrogen gas into Ammonia gas in the form of nodules. Secondly, the Enzyme/Amino/Vitamin/Humate package in chelated form accelerates the plants metabolic growth development and processes nutrients for the plant. The Mycorrhizal Fungi takes over increasing the root absorption area 100 to 1000 times more than control. This increased root system allows for more efficient uptake of Moisture and Nutrients along with improving the soil biology. The Beauveria Bassiana grows endophytically through the plant increasing vigor and defending against certain insect pests. Azospirillum and Azotobacter bacterium also help generate nitrogen for the plant in free living form. Last but not least, the chelated micro-nutrients give your beans that boost during the initial growing stage allowing for a head start and better emergence over control that pays dividends. Our tests have shown an average increase in yield of 11.2% over the last three years. MycoGold® Soybean Blend is a dry powder seed treatment biological soybean inoculant. Mix MycoGold® evenly with seeds when filling seeder using grain auger or directly in the hopper or other container. It's worth noting the talc carrier helps lubricate your planter equipment. Our tests have shown that when soybean plants are treated with MycoGold® soybean inoculant dry seed treatment, the efficiency dramatically increases in nutrient uptake. This has allowed for a 10%-20% reduction in fertilizer. The Mycorrhizal fungi seek out NPK with its increased root system and actually change the hormones in the plant for better moisture uptake management. Studies have shown that Mycorrhizal fungi have been estimated to ‘substitute” up to 170 lbs/acre of phosphorous for soybean. MycoGold biological soybean inoculant dry seed treatment allows for a 7% better germination rate over control. In today’s modern world of agriculture, where gross margin and profitability are getting tighter, it is important to look at new technologies that will increase production and reduce cost. I am testing Mycogold mycorrhizal inoculant on soybeans in 2014. I reduced fertilizer input by 25%, irrigation water by 25% and still received 8%+ increase yield because of Mycogold seed inoculation. I was very surprised with the yield increase I got from using MycoGold Soybean Blend. When combining, the carts were filling up quicker than usual. I received an extra 10 bushels more on the MycoGold treated beans. Needless to say, I will be treating my whole field next year. Great Product! 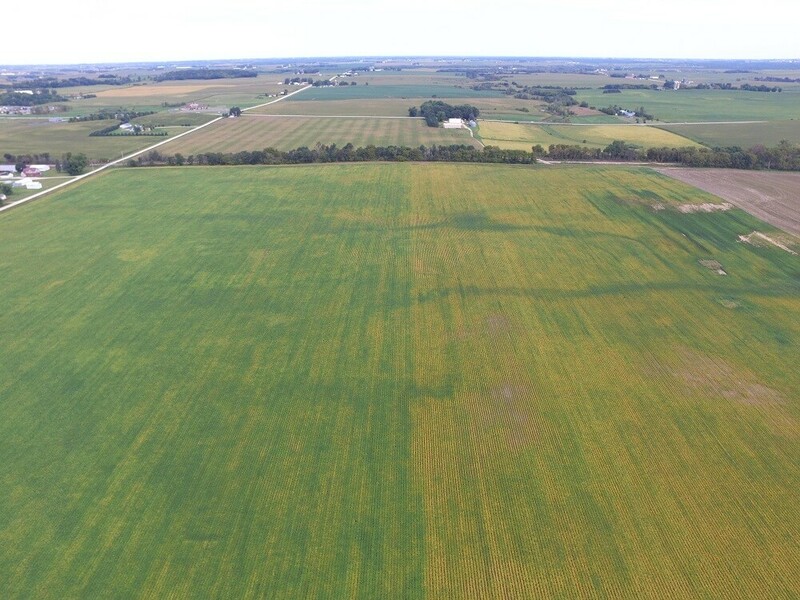 “I’ve tried every type of pixie dust available to give our soybeans a boost. I didn’t really have high hopes using MycoGold but after receiving an extra 8 bushels per acre, I’m sold! We are very pleased with the Mycogold inoculants test. We planted soybeans on May 6 in sandy river ground. We used a 12 row planter. 6 rows control and 6 rows Mycogold. The row width is 15 inches. Root inspection on August 6 on Mycogold shows a lot more and much larger roots. We received an additional 4 bushels per acre at harvest.